Guillaume Sachet is the Head of Strategic Planning at MediaCorp, where he drives group strategy, corporate development and innovation including mentoring startups in MediaCorp’s Mediapreneur incubator program. Currently, he sits on the board of Cubinet Interactive, a Malaysian digital games publisher, which MediaCorp has a majority stake. He has 20 years of experience in the media and telecom industry. 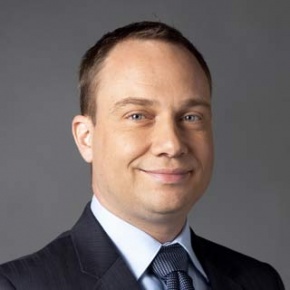 Prior to joining MediaCorp in May 2012, Guillaume was a Partner with the strategy practice of the consulting firm, Accenture, responsible for Communications, Media and Technology strategy clients across Southeast Asia. Over the years, he has developed deep media and telecom industry knowledge and expertise across the APAC region. He has spent more than 15 years in Asia, working in Singapore, Thailand, Malaysia, Indonesia, Australia, Brunei, Vietnam, Philippines, Korea and China. Having published nearly 20 articles in magazines such as Telecom Asia, Guillaume is a recognized thought-leader in the industry. Guillaume graduated in International Relations from Sciences Po Paris in 1994 and in Finance from Ecole Supérieure de Commerce de Paris in 1992.